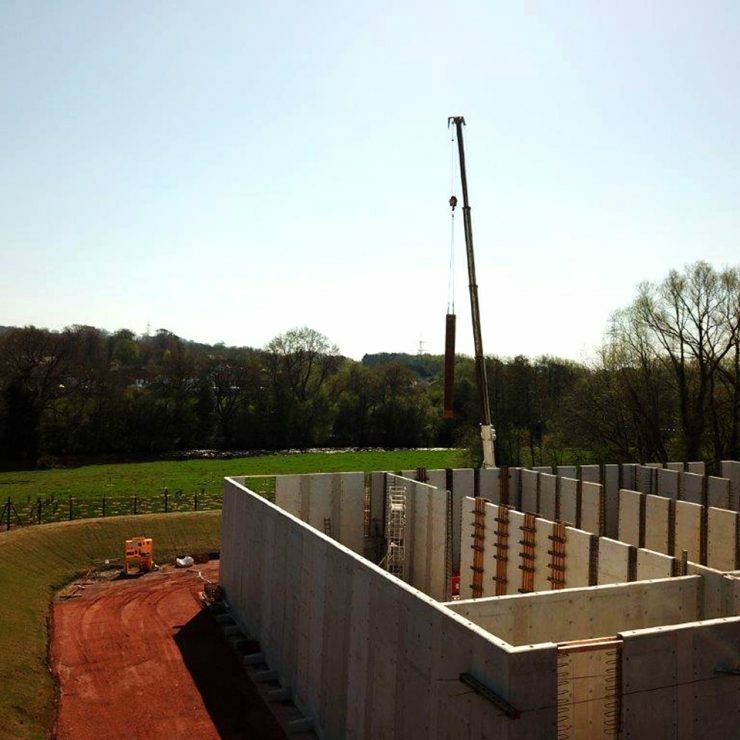 Llanfoist Waste Water Treatment Works is part of the Welsh Water investment under the AMP6 framework. 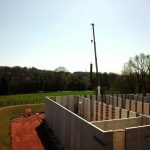 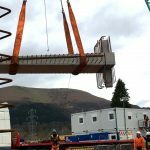 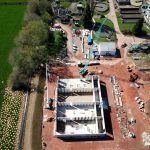 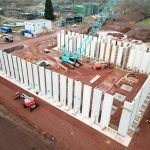 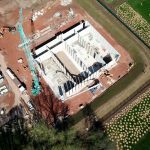 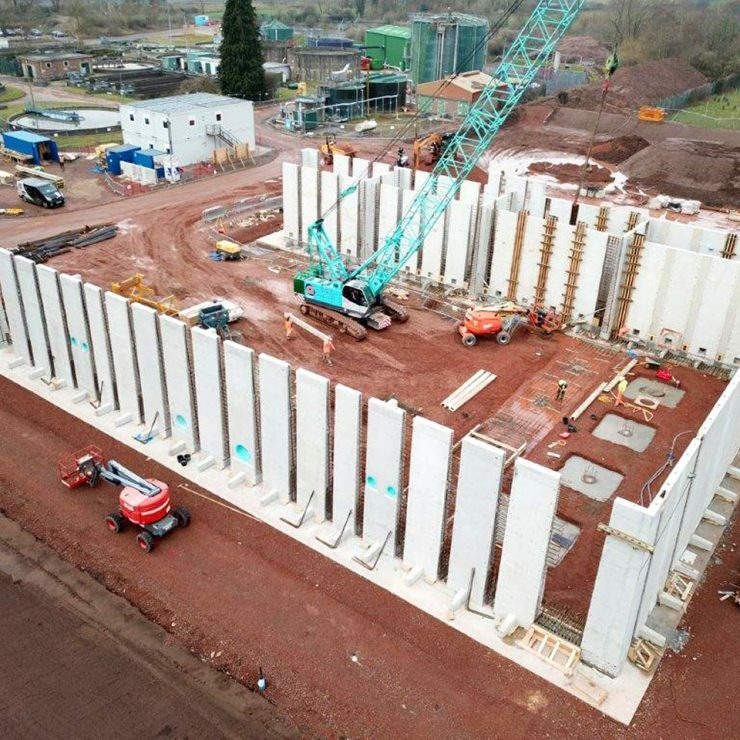 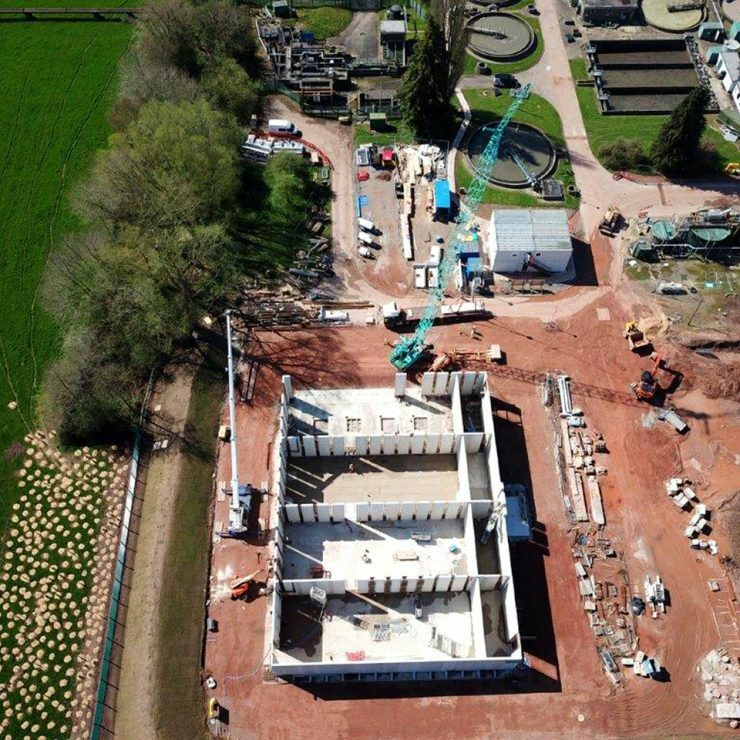 Westshield were appointed by Skanska to deliver the installation of the precast units and the construction of the wet concrete elements to provide the new sequencing batch reactor (SBR) structure. 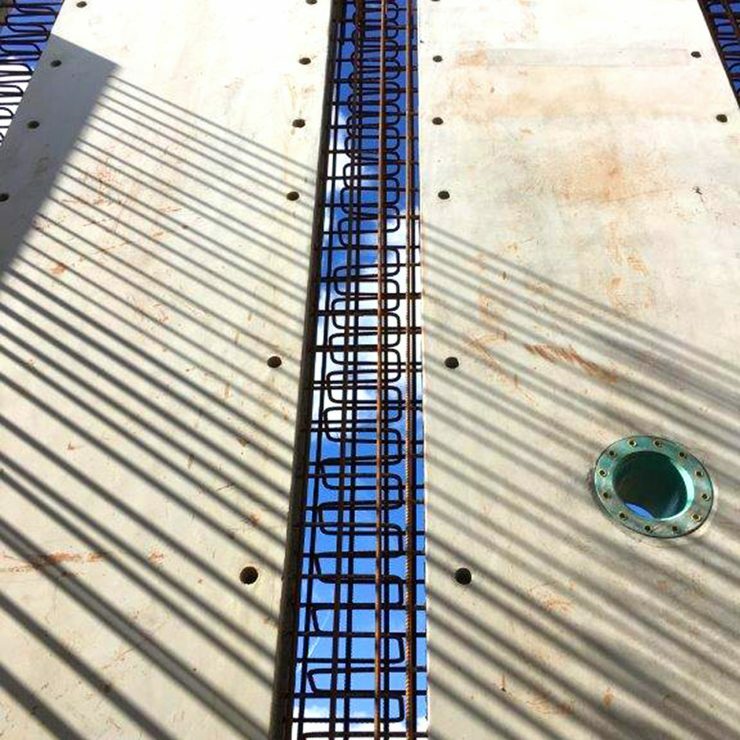 Developed a system to pour the full 7m height of wall stitches in one single pour, utilising self-compacting concrete. 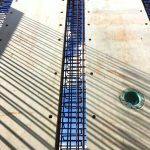 Utilised Bamtec reinforcing bar system for the base slabs to allow the slab reinforcement to be delivered to site on a roll, which enabled quick and efficient installation, reducing safety hazards and reducing resource numbers.